I told my employer that I felt I was being unfairly discriminated against in the workplace and that I wished to pursue a discrimination claim against the company. I was later dismissed. What rights do I have? If you have been subjected to any type of discrimination at work you will generally feel inclined to make an internal complaint to Human Resources or continue to endure the unlawful discrimination. Neither of these two options are generally ideal. Internal complaints to Human Resources often fall on deaf ears, particularly when the complaint is about a senior and influential person within the company. Company grievance procedures can also be flawed anf fail to address the real issue at hand. Often the only option available to you will be to make an unlawful discrimination complaint against the company to an external body such as the Victorian Equal Opportunity and Human Rights Commission. If you have been dismissed, humiliated, denigrated, demoted or subjected to any other form of detriment as a result of making a complaint to the Victorian Equal Opportunity and Human Rights Commission you may have rights under the ‘victimisation’ provisions of the Equal Opportunity Act 2010 (Vic). The Equal Opportunity Act renders it unlawful for an employer to dismiss you because you have either made a complaint to the Victorian Equal Opportunity and Human Rights Commission about unlawful discrimination in the workplace, or have threatened to make a complaint pursuant to anti-discrimination legislation about unlawful discrimination in the workplace. An employer will be acting in contravention of the Equal Opportunity Act 2010 (Vic) if it subjects you to any type of detriment as a result of you making a complaint of unlawful discrimination to an external body. (g) has alleged that any person has contravened a provision of Part 4 or 6 or this Part, or Part 3, 5 or 6 of the old Act, unless the allegation is false and was not made in good faith;…or because the person believes that the other person or the associate has done or intends to do any of those things. This provision therefore ensures that you can make a discrimination complaint to the Victorian Equal Opportunity and Human Rights Commission (which includes a complaint of sexual harassment) without fearing that you will be dismissed, or subjected to any other detriment (such as demotion, humiliation or denigration) because of it. Several points of note arise from this victimisation provision. Section 104 of the Equal Opportunity Act 2010 (Vic) states that a person must not victimise another person. This wording is deliberately broad and means that you can be victimised by colleagues, managers, supervisors and CEO’s alike for making an unlawful discrimination complaint under the Act. You do not necessarily need to be victimised by the person you make the discrimination complaint about in order to be protected by the victimisation provisions. Further, you may be subject to victimisation if your employer subjects you to detriment in anticipation of you lodging an unlawful discrimination or sexual harassment complaint. Whilst evidentiary issues impede the effectiveness of this provision, it is nevertheless important as you may have purposely or inadvertently given some form of indication to your employer that you are thinking of making a complaint to an external body. If this has prompted your employer to treat you unfavourably or dismiss you, it may constitute a contravention of the Act. You may also be victimised if you give evidence in relation to a complaint, refuse to engage in activity that would contravene the Act or allege that a person has contravened the Act. This provides additional protection to you if you become involved in an anti-discrimination complaint. I worked interstate but have now returned home to Victoria. 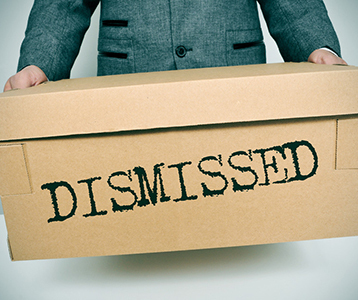 Can I sue in Victoria for my wrongful dismissal? What can I do if I have been bullied in the workplace? What to do if promises made in person are not in your contract?